In football things change so quickly, don’t they? Life moves fast and within a few seasons the fortunes of a team can look very different. Everyone is praising Liverpool for their transfer team and dealings these days, but it wasn’t long ago under Rodgers that they were lambasted for their ‘committee’ approach to signings. The rate of change within football also changes rapidly from a game-to-game and month-to-month basis. For example, if you’d have told me that there would be an overwhelming clamour to replace Aaron Ramsey with Alex Iwobi in October back in August, I’d probably have laughed you out of London. Yet here we are, with so many people (including me to an extent) wanting to see that change. Dave ran a poll yesterday ahead of the ‘A Little Bit Arsenal‘ show and as of typing this morning it’s standing at 84% of people in favour of the move with 247 votes. That shows me just how fast the wind can turn in football with a player who many thought would be one of the central anchor points in Emery’s Arsenal in Ramsey. I suspect the fact he isn’t going to be at the club next season is playing a part and fan sentiment is clearly playing a part in that particular vote but what is clear is that things change. Quickly. Last December people were starting to voice concerns over Lacazette and his lack of goalscoring, yet this season he’s hit a purple patch and has been our leading light from a scoring perspective. Whether that continues with somebody like Auba waiting in the wings remains to be seen but right now it’s looking rosy for the Frenchman and the result so far is goals for us, which is handy, because our back line have hardly been spectacular. And on the subject, as well as how quickly life moves in football, we come to Bernd Leno. Here we have a guy who joined for £22million in the summer, didn’t start, had fans desperate to see him because he was shiny and new, before a few then started to question whether he could have done anything about one of the Vorskla goals, followed by a few nervous Gooners after his slight rick against Brentford in the first couple of minutes. Suddenly we had Arsenal fans questioning the purchase. Having been so desperate to see him after one or two mistakes by Cech in the opening games, suddenly there were some who were starting to second guess their own opinions on the ‘keeping situation. After all, Cech had made some very good saves this season and had been largely responsible for the clean sheet against Everton, so by seeming so keen on Leno were we all suddenly having second thoughts? I guess it’s natural. We’ve only known a few months of the Emery era, there are still so many questions about how we play and who is the best in what position, that we are still flip-flopping in our opinions as we try to settle on an understand on who our best players are. I think there’s probably also an element of absence making the heart grow fonder. We’ve had that for years and when a player is injured for a prolonged period of time we always project just how amazing the team would be if they were in it. Diaby, Eduardo, Santi; all of these players have been elevated when they’ve been out for so long (although with Santi that was blatantly true) and now we find ourselves in a similar position with Cech. 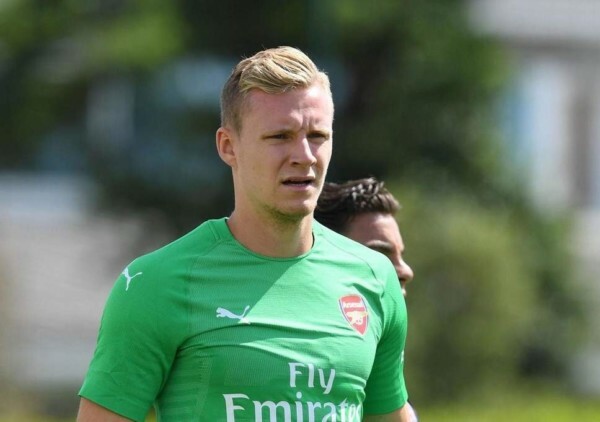 It was confirmed yesterday that he’s got three or four weeks to return to training due to a hamstring injury and you have to look at this situation as being a golden opportunity for someone like Leno. It’s sad for Cech and nobody wants a first team player injured, but if ever there was a time for a player to demonstrate they deserve a shot it is this. We have a bunch of games coming up and Leno will now get his chance to show whether having that ball-playing ‘keeper makes a significant change to the team. If it does it will be another example of how quickly things change in football because after the Everton game I got the impression that fan sentiment was leaning towards keeping Cech in goal given his quietly impressive start to the season. But in a month’s time we could find the Czech as the midweek Europa League ‘keeper. From a competition perspective that is what we want to see. But given that life moves so quickly in the football bubble, will the team look any different to the one we’re seeing now? Catch you all tomorrow with a match preview.